HD SAMSUNG 160GB IDE 5400RPM 2.5"
Leica Dicomar lens with 10x optical zoom; built-in Advanced O.I.S. 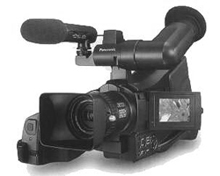 The HDC-SD5 uses the AVCHD format to record full-HD video with 1920 x 1080 pixel resolution. It employs Panasonic's original 3CCD camera system a professional broadcast feature which renders vivid true-to-life colors outstanding detail and rich gradation. 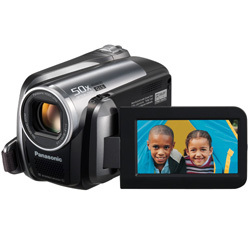 The SD5 also boasts Panasonic s new Advanced O.I.S. (Optical Image Stabilizer) minimizing the effect of hand shake. This technology helps produce crisp clear images which is especially important for viewing on large-screen high resolution TVs where image imperfections are easily visible. The HDC-SD5 which records video onto SDHC/SD Memory Cards debuts as the world's smallest palm-style 3CCD full-HD camcorder. 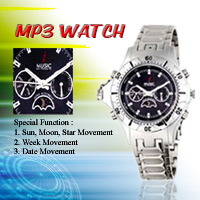 It is even smaller than its predecessor model HDC-SD1 giving the SD5 superb portability. 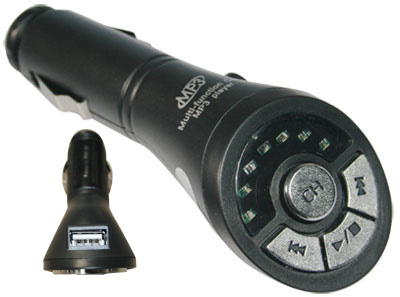 The SD5 also features a new USB Host function that significantly improves data storage and playback ease. With an optional newly released DVD burner (model VW-BN1) users can copy or play back video recordings in the original AVCHD format to deliver the ultimate high-definition viewing experience on a large-screen TV. 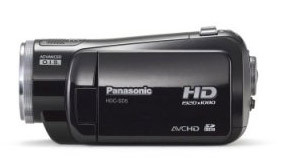 Panasonic HDC-SD5 Highlights 1920 x 1080 full-HD recording While conventional HD recordings have 1440 pixels in the horizontal direction full-HD recordings have 1920. And while conventional recordings have a total of around 1.55 million pixels full-HD recordings have around 2.07 million -- about 30 percent more. 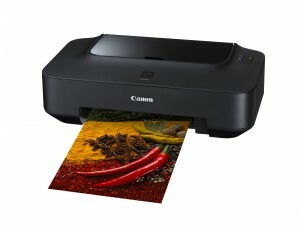 In fact full-HD has the most pixels of any HD format and thus can render images with unmatched detail and resolution. 10x optical zoom moves you closer to the action 10x optical zoom Distant subjects can be enlarged so they appear to be right up close. 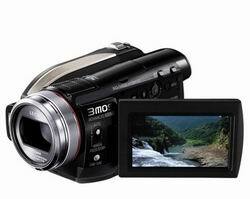 This allows dynamic shots of both motion and still pictures.